medieval period. 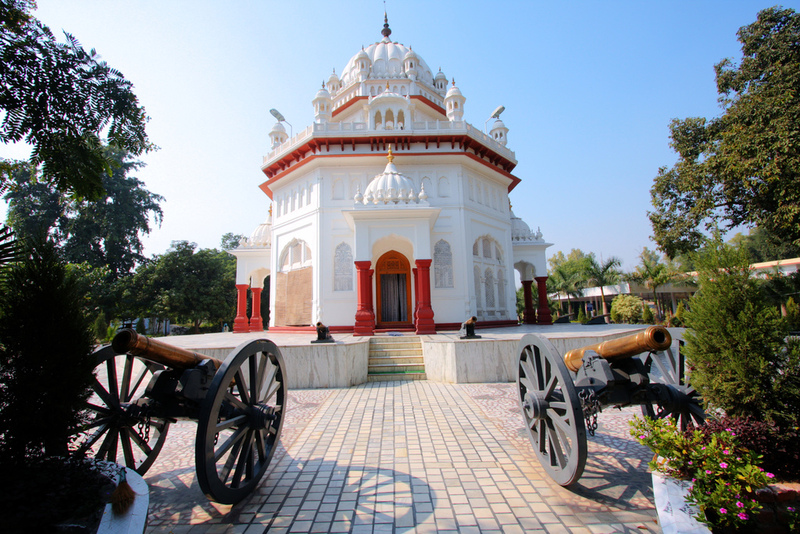 Patiala is relatively a young city, a few years more than two centuries old. 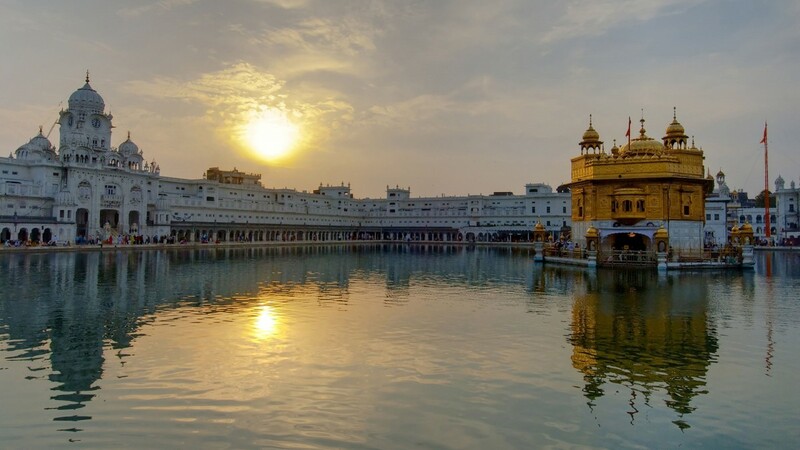 In the 18th century, the political vacuum created by the downfall of the Mughals was successfully filled up by the Sikh Misldars in Punjab by thwarting the designs of both the Marathas and the Afghans. One among these independent principalities of the Sikhs was that established by Baba Ala Singh at Patiala. The early history of the founders of Patiala state is more of a myth mystery than reality. The rulers of the erstwhile states of Patiala, Nabha and Jind trace their ancestry to one Chaudhary Phul. Apparently the appellation of dynasty ‘Phulkian’ is derived from their common founder. One of his sons, Chaudhary Ram Singh was baptised and blessed by Guru Gobind Singh. His son Ala Singh assumed the leadership in 1714 A.D. when Banda Bahadur was engaged in the fierce struggle against the Mughals. A man with vision and courage, Ala Singh carved out an independent principality from a petty Zamindari of 30 villages. 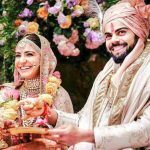 Under his successors, it expanded into a big State, touching the Shivaliks in north, Rajasthan in the south and upper courses of the Jamuna and the Sutlej. While confronting the most trying and challenging circumstances in the middle eighteenth century, Baba Ala Singh, unlike many of his contemporaries, displayed tremendous courage and shrewdness in dealing with the Mughals, Afghans and Marathas, and successfully established and maintained a state which he had started building up bit by bit from its nucleus Barnala. In 1763 Baba Ala Singh laid the foundation of the Patiala fort known as Qila Mubarak, around ‘which the present city of Patiala is built. treaty with the British against Ranjit Singh in 1808, thus becoming collaborator in the grand empire building process by the British in, the sub-continent of India. The rulers of Patiala such as Karam Singh, Narinder Singh, Mahendra Singh, Rajinder Singh, Bhupinder Singh and Yadvindra Singh were treated with respect and dignity by the British. atiala by constructing ramparts and ten gates around the city. Some of these gates have been demolished to facilitate the flow of traffic. 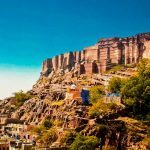 Inside the walls, besides the residences, there are Mandis and Bazars and a visitor with meagre amount in his pocket can still indulge in the luxury of purchasing traditional goods famous for their art and beauty such as embroidered Juti and Phulkari. ghlights of the Festival have to be seen, heard and savored in order to be believed. 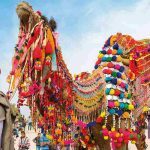 These include the Crafts Mela (the Crafts Fair) held at the Sheesh Mahal Art Gallery premises in which 150 crafts persons from different parts of India display their wares for fifteen days. These wares cover a wide variety that is truly mind-blowing, ranging from furniture, pottery, textiles to jewellery, domestic linen, woollens and innumerable handicraft items of all kinds and shapes. Along with this, the Mela offers large dollops of folk dances, rural entertainment and food stalls etc. Another remarkable aspect of this ten-day treat is the whole dazzling array of Indian Classical music (both Vocal and Instrumental) and dance concerts organized and held in the courtyard of the majestic Darbar Hall in the Qila Mubarak Complex in the heart of the old city. These concerts in which musicians and dancers of international stature and acclaim regale the audiences with the best of their respective gharanas (singing styles), traditions and genres are nothing short of ethereal presentations transporting the listeners to some higher and subtler worlds. Indeed, these concerts can easily be referred to as the crowning glory of the Patiala Heritage Festival. Besides the Mela and the sumptuous concerts, the Festival provides an enviable platform for events as varied as Golf tournaments, Cricket and Polo matches, Equestrian events, Fashion shows, Painting exhibitions, plays, operas, light music evenings and rural sports. Once again, the Patiala Heritage Festival, like the city of Patiala, has something for people of all tastes and predilections. 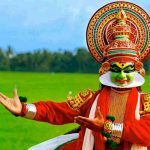 For those who have a taste and ear for music and for art and sports, the Festival is nothing short of an elaborate and exotic feast with some of the choicest delicacies. Little wonder, for the connoisseurs of art and culture and general public alike, the ten-day Festival is the high point of the cultural life of Patiala— a grand occasion worth waiting for. In fact, the Patiala Heritage Festival has already crossed its infancy and is well into its fourth year. Among all the Heritage Festivals organized across Punjab, the Patiala Heritage Festival can easily be rated as the most spectacular and the most efficiently arranged cultural event. 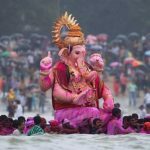 Undoubtedly, this Festival is headed for greater display of art and culture and towards more dizzying heights in the days to come. lage-the Mohindra College-in 1870. The famous printing of Munshi Nawal Kishore was also established here in the seventies of the 19th century. Patiala has had a culture of its own, evolving into a distinct “patialavi” culture. 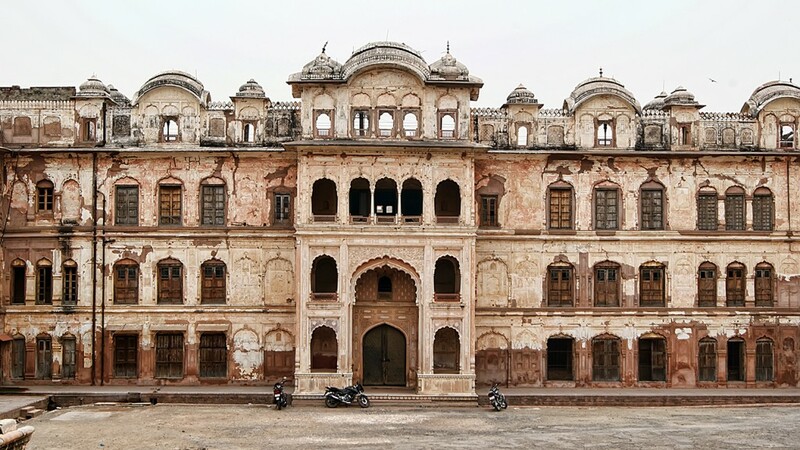 Patiala has also seen evolution of a distinct style of architecture. Borrowing from the Rajput Style, its beauty and elegance are, however, moulded according to the local coloring. With the active patronage of the erstwhile rules of Patiala, a well established style of Hindustani music called ‘the Patiala Gharana’ came into existence and has held its own up to the present times. 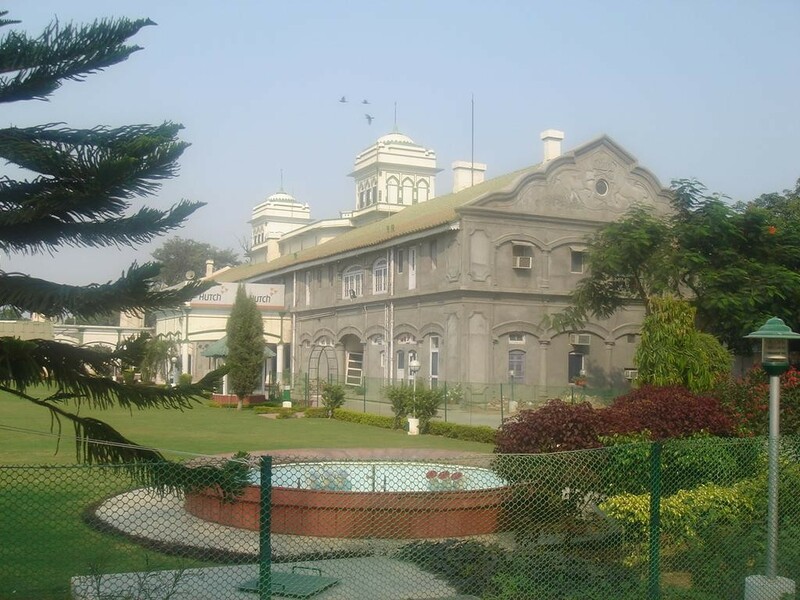 This school of music has had a number of famous musicians, many of whom came to Patiala after the disintegration of the Mughal Court at Delhi in the 18th century. At the turn of the century, Ustad Ali Bux was the most renowned exponent of this Gharana. Later his sons, Ustad Akhtar Hussain Khan and Ustad Bade Ghulam Ali Khan achieved world wide fame and brought glory to the Patiala Gharana. This school of music continues to get the patronage of the State though the North-Zone Culture Centre, established at Patiala. 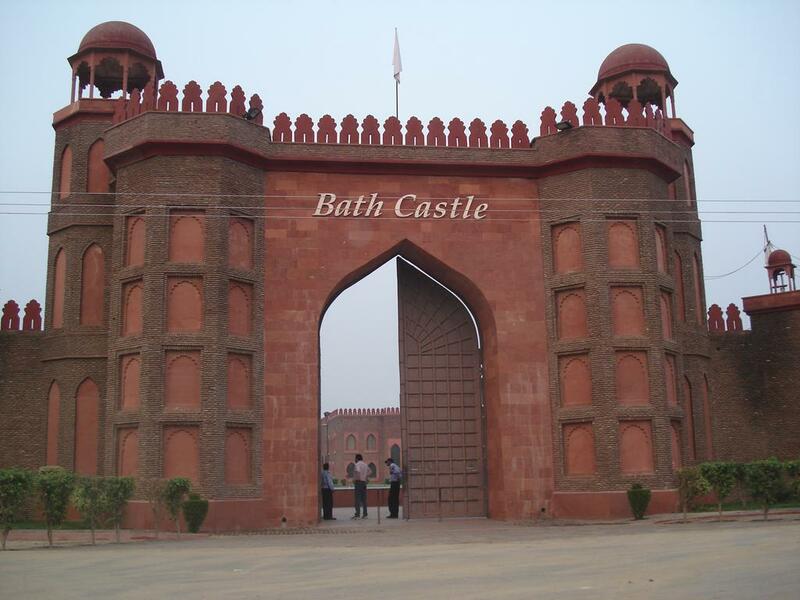 The Qila Mubarak was first developed as a mud fort or Kachi Garhi. 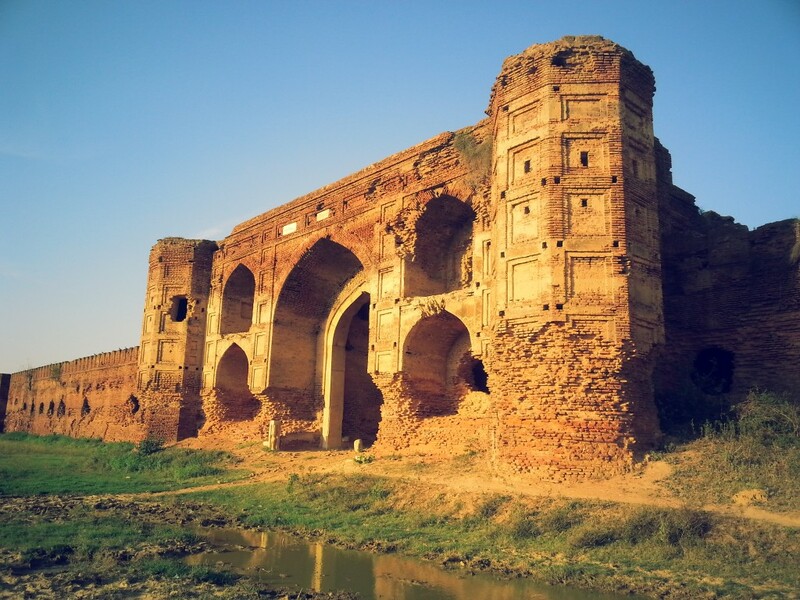 Baba Ala Singh constructed the Pacca Qila after his conquest of Sirhind. From the receipts of the octroi on the merchandise passing through his territory of the G.T. road, he constructed the Qila. The present Qila is divided into two parts- one, the Qila Androon, the interior portion, was built by Ala Singh. Situated on a mound, it ascends as one moves into it. 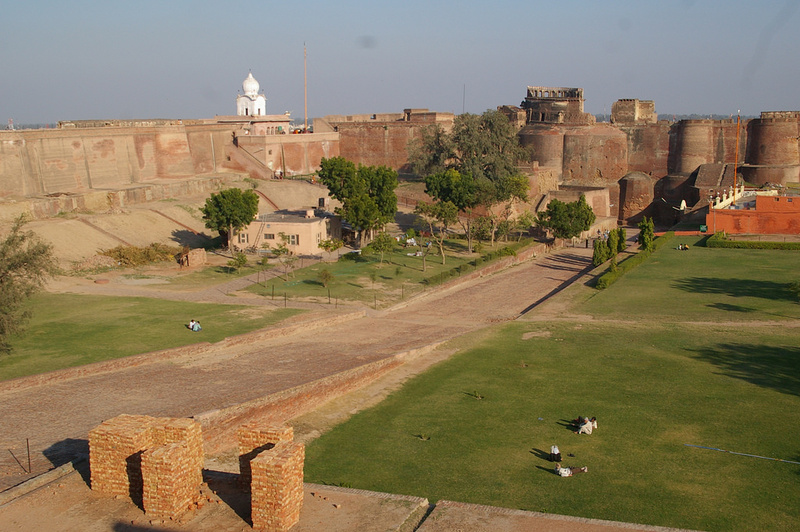 While the other i.e., between the Qila Androon and outer walls with the secretariat on the left and Darbar Hall on the right, was built by Maharaja Karam Singh. The Darbar Hall is now converted into a mini museum where rare arms and armours including a sword of Nadir Shah known as ‘Shikar Gah’ are on display. Most precious pieces of art are the rich collection of tree-like chandeliers made of Bohemian cut-glass emitting prism like radiant splendour and sheen. To those interested in metallurgy and guns, a visit to the Cannon Park within the premises of the Qila Mubarak would certainly be a thrilling experience of life time. The murals inside the palaces are rare specimen of the Kangra and Rajasthan paintings. The next great architectural landmark is the Moti Bagh Palace constructed in 1847 by Maharaja Narendra Singh at a cost of Rs. 5 lakhs; Maharaja Narendra Singh was as great a builder as Swai Jai Singh of Jaipur. The Moti Bagh Palace was designed on the pattern of Shalimar Gardens of Lahore with terraces, water channels, Sheesh Mahal and beautiful garden. It is a four storeyed structure with massive stone-walls, arched openings, filtered and ornamental grills and crowning domes. The rear part of the palace has been developed into an amusement park, which offers many attractions to the young and the old alike. In the foreground of the Sheesh Mahal, there is a huge tank with two towers on both sides. Along with it is the suspended rope bridge popularly known as Lakshman Jhula, which connects the palace with the Bansar Ghar housing the Natural History Gallery. Here the stuffed animals and birds are displayed. 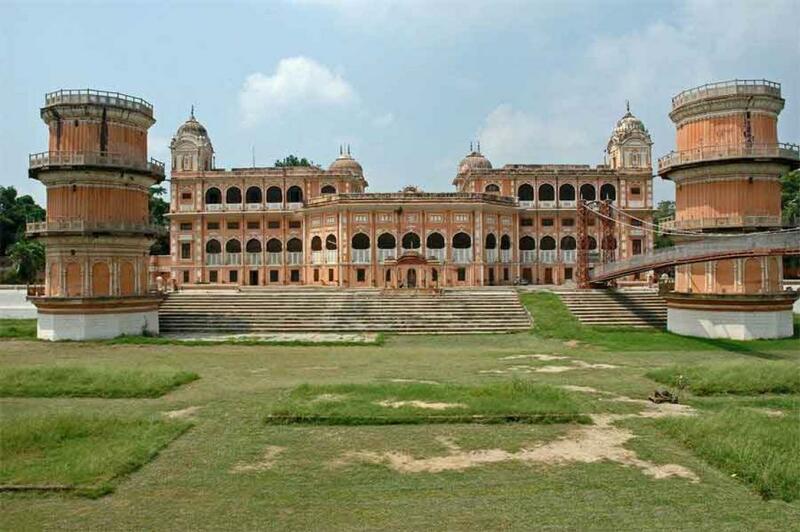 The rest of the palace now houses the most prestigious Subhash Chander Bose National Institute of Sports. Maharaja Narendra Singh was a great patron of literature, music and fine arts. He invited many painters from Kangra and Rajasthan to paint the walls of Sheesh Mahal. Their works depicting the vision in poetry of Keshav, Surdas and Bihari, both in line and colour, are a treat to the eye of the beholder. The themes of these paintings embrace mythology, legends, Raga-Ragni, Nayak-Nayika and Bara-masa in Rajasthani style. These walls and ceilings are also rich in floral designs. The interior casts a Kaleidoscope phantasmagoria of myriad images and multi-coloured lights. The museum has a rich collection of miniature paintings of the middle of 19th century. Themes of these paintings are based on the Geet Gobinda or Jaya Deva’s poetry. The Kangra paintings depicting the, Krishan Lila reflect the highest professional and delicate taste. Paintings displaying the Raga-mala of the Rajasthan schools and that of the Mughal give a visual meaning to the Ragas. Besides miniature paintings, there are fine objects of Tibetan art particularly the sculpture of different kinds of metals. Ivory carvings of Punjab, royal wooden carved furniture, and a large number of Burmese and Kashmiri carved objects are also exhibited. 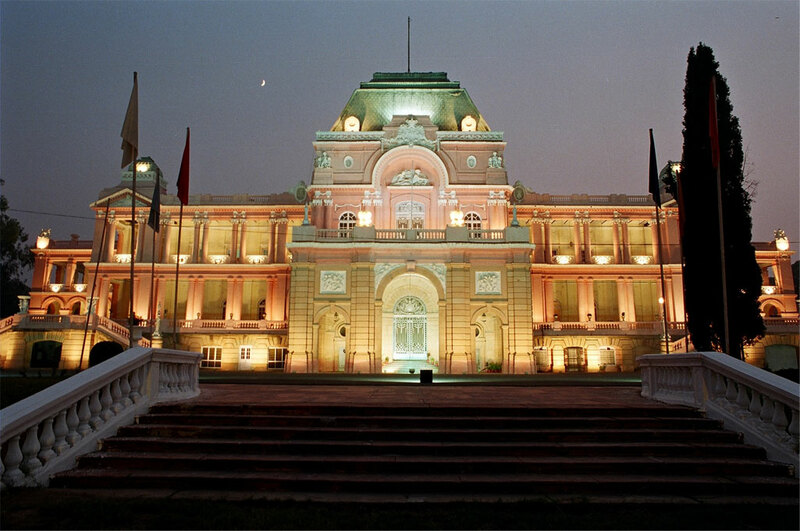 One can see the huge portraits of the rulers of Patiala adorning the walls of museum hall. Some of the rare manuscripts can be seen here. Beside Janamsakhi and Jain manuscripts, the most valuable possession is the Gulistan-Bostan by Sheikh Sadi of Shiraz, which was acquired by the Mughal Emperor Shah Jahan for his personal library. Medal Gallery set up in the Sheesh Mahal has on display the largest number of medals and decorations in the world, numbering 3,200. Collected by Maharaja Bhupinder Singh from all over the world, his illustrious son Maharaja Yadvindra Singh gifted the entire priceless collection to the Punjab Government Museum. Among the most important, one may mention The Order of the Garter (England) of 1348 A.D., The Order of the Golden Fleece (Austria) founded in 1430 A.D. The Order of St. Andrews (Russia) founded in 1688 by Peter the Great; The Order of the Rising Sun (Japan) and Order of the Double Dragon (China) and The Order of the White Elephant (Thailand). The collection contains medals from Belgium, Denmark, Finland and host of other countries of Africa and Asia. On the advice of the Europeans, Maharaja Ranjit Singh and Maharaja Dalip Singh also issued medals which are studded with precious stones. Some of them display miniature paintings of the Maharaja in profile in the centre. Inspired by his hobby, Maharaja Bhupinder Singh instituted Orders and Decorations which carry portraits of Guru Gobind Singh, Radha Krishan etc. These medals reflect religion, culture and art of many countries in metal and are great sources of history. Besides medals, there is a rare collection of coins. This numismatic collection presents a vast range from the punch-marked coins to those issued by the princely states in the 19th century. It is a total numismatic history reflecting upon country’s trade, commerce, science and metallurgy. Maharaja Mahendra Singh was a great patron of modern education. He established this college in 1870 for the people of Patiala. Its building is a wonderful piece of architecture. Famous for its architectural excellence, the institution for a long time was the only one between Delhi and Lahore. Serving as a major institution of higher education, many students from neighbouring states and as far as Delhi used to come to Patiala for receiving education. 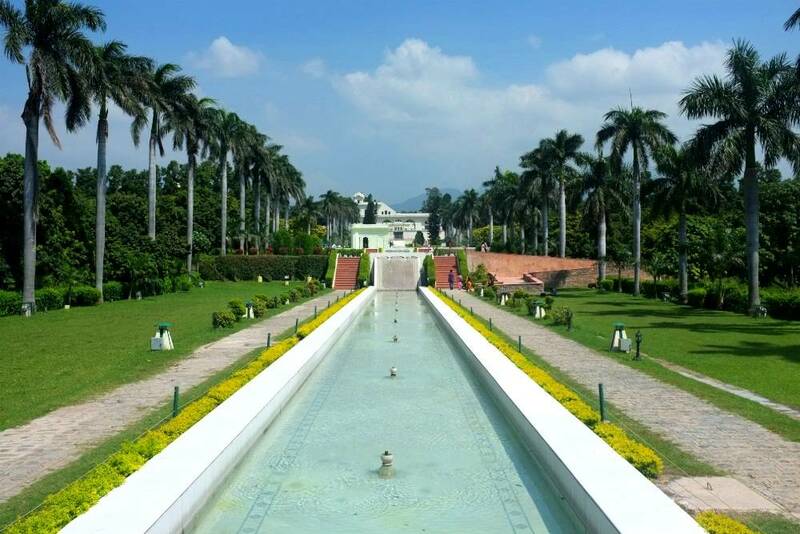 Situated in the north of the old Patiala city, just outside the Sheranwala Gate, the Baradari Gardens is built around the Baradari Palace constructed as a residence for the crown Prince Rajinder Singh. A great lover of nature, the crown Prince brought all kinds of saplings of rare trees and planted them here in the garden. The huge fruit trees, the Fern House and the Rock Garden stand testimony to his interest. 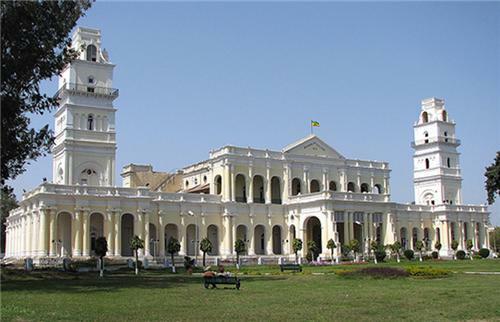 The Baradari Palace now houses the Punjab State Archives, a repository of rare documents of historical importance. 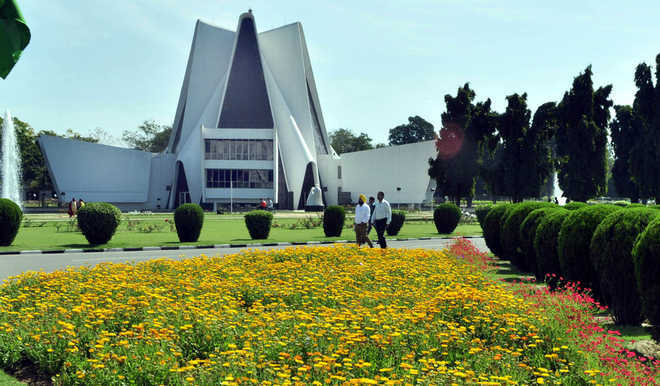 At a distance of one and half kilometer from the main gate of Punjabi University, It is named so to commemorate the holy memory of Guru Tegh Bahadur who paid visit to this place at the invitation of another holy person Saif Khan. 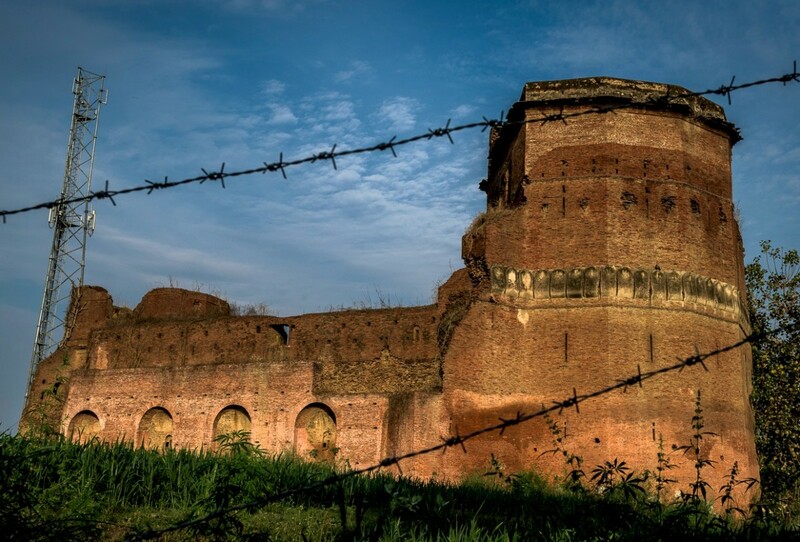 The four wails of the fort enclose the village Saifabad located on the left-side of the Rajpura-Patiala Road. Saif Khan, a relative of the Mughal Emperor Aurangzeb, after holding several important offices, became a hermit and settled down here. After his death he was buried here. 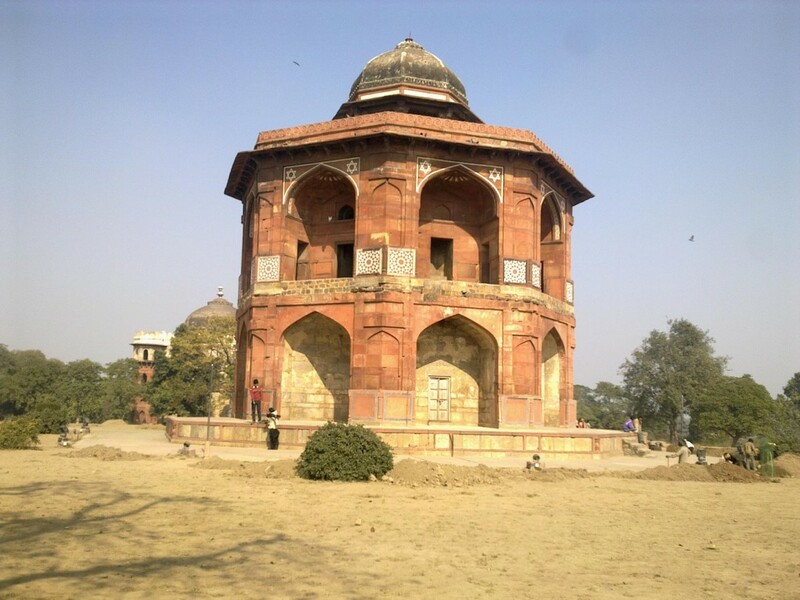 His tomb behind the fort, a structure of 177 x 177 ft. is in a state of neglect. Notwithstanding this, his followers still lit a lamp on the tomb every Thursday. The two inscriptions in the fort testify that the village and the mosque were founded in 1668 during the reign of Aurangzeb. As the tradition goes, Nawab Saif Khan was a great admirer of Guru Teg Bahadur. He invited him to spend rainy season here. His visit is commemorated by two gurdwaras- One inside the fort and the other outside across the road. It is famous as Panj Bali Gurdwara.The Bahadurgarh Fort was constructed by Maharaja Karam Singh during 1837-45 at a cost of Rs. 10, 00,000. Its circumference is one mile, 536 yards and 2 feet.